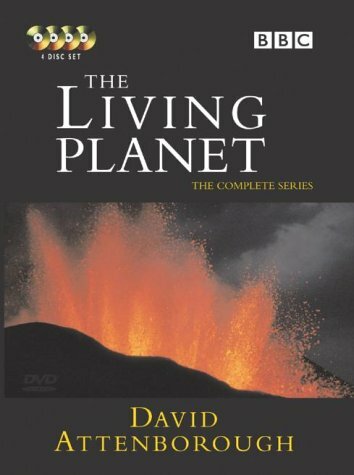 Originally broadcast in 1984 The Living Planet followed five years after David Attenborough's first wildlife blockbuster series, Life on Earth. This was an equally ambitious 12-part documentary that spanned the globe with portraits of each of the major geographical regions that offer a home to life. Attenborough demonstrates how even in the most hostile of environments, from the volcanic "Furnaces of the Earth" to "The Frozen World" of mountains and tundra, the Arctic and Antarctic, live maintains a foothold. He takes us to "The Northern Forests", the "Jungle", "Seas of Grass" and "The Baking Deserts" and ever the genial host, details how in all its endless diversity, life is ingeniously suited to its surroundings. With breathtaking imagery we meet our fellow inhabitants, from penguins to polar bears, lions to scorpions, oaks to eagles, and journey on to "The Open Ocean" and the "New Worlds", which mankind itself is rapidly fashioning through ever more radical technological change. The series ends with an impassioned environmental plea which rings even more urgent now than in 1984. The Trials of Life (1990) and The Private Life of Plants (1994) further detail the Living Planet.